I have a sale with the following dimension for sale. 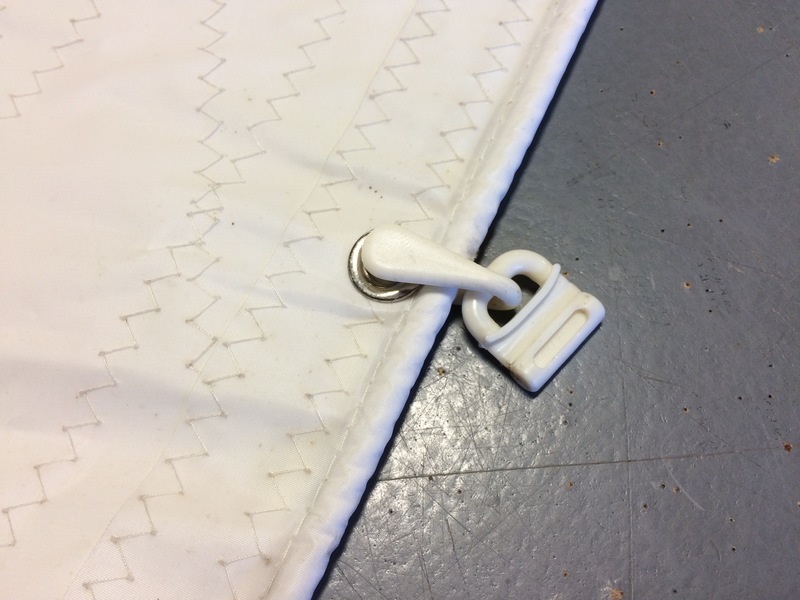 The sail has standard aluminum/alloy headboard for the halyard attachment, 3/8” slides up the mast for easy hauling and durability and it is in great shape. I do not know the age of the sail but I believe it is barely used. I do not have a sail bag for the sail storage and I do not have the 3 batons needed—but those should be easy enough to obtain. The R19 class logo is not on the sail. I would like to list the sail at $350 and I will pay for the shipping. Stuart Rhodes 19, Centerboard. 1993. Beautiful boat, well maintained, barely a blemish to be found, original gelcoat still shines like new, no repairs ever, none needed, ready to sail. Check it out online, fast and stable, seats 6, active racing fleet, exc. resale value. Nice galvanized Lil Rider trailer in excellent condition. 2014 2 hp HONDA OB. Please note that new boats are still being built today by Stuart Marine in Rockland, ME and they are selling for around $30,000. If you would like more information, please call me. Emails will not be answered. You can reach me at 603-547-083one. Thank you. Rhodes 19 keel. Cast iron. Sandblasted and primed with Kem Paint. Very good condition. Ready to Fair. It is 5 pounds under class weight so will finish out right on the money. Was going to put it on another boat but changed boats. Located in Chicago and can be brought to Nationals for pick up. Make a good offer and it’s yours. (Note this is not a Rhodes 19). 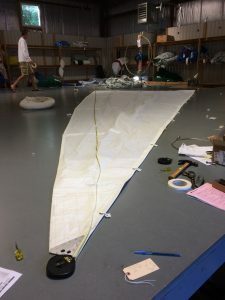 A great Rhodes 19 keel sailboat with dark blue hull and white painted bottom and kiel, half-way to making it a true racer, is for sale. A set of practice Doyle sails and and two spinnakers in a fair shape. The ribs have been recently replaced. The bottom was refinished and painted two years ago. You have the chance to set it up for racing the way you like or just use it for cruising in its current condition. 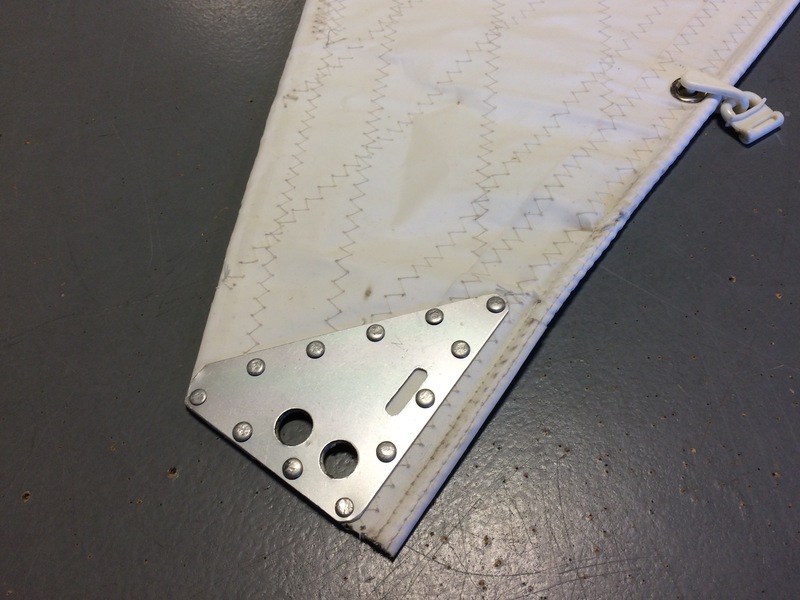 It has a full boat cover and can be used with mast up or down. The trailer is two years old Triad with bunks. 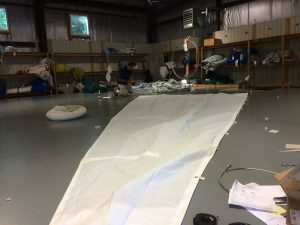 An extra set of barely used cruising sails and cruising spinnaker can be sold for an additional 700,-. There is an outboard Tohatsu 4 stroke barely used by previous owner for 500,-. 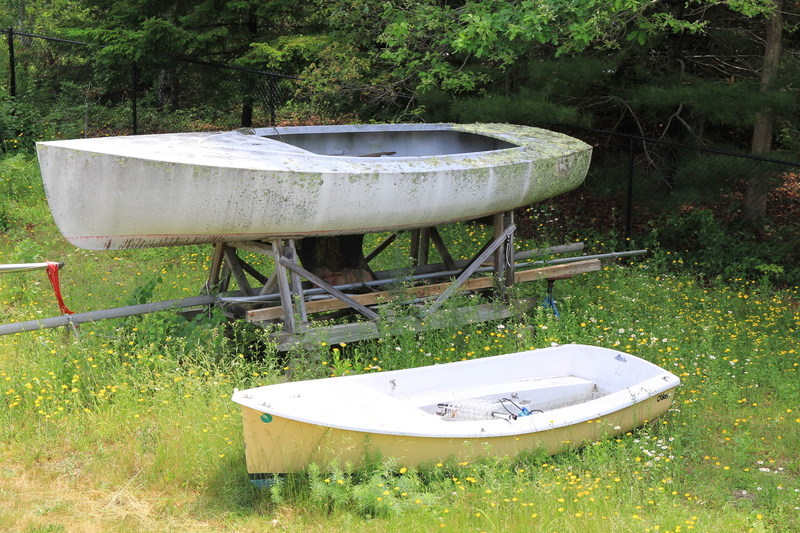 The boat has been dry sailed for the past four years and can be seen or pictures sent upon request. You can buy it all for 7000,- and I will throw in an extra set of practice Doyle sails. I have a Rhodes 19 that I have been restoring for almost a year now. I have sailed it 3 times and decided its too small. 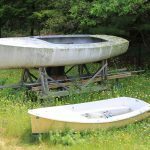 This boat is in great condition, handles well, and is a solid boat. This boat is priced low compared to any Rhodes 19s out there in its condition. I can assist with delivery and deliver within a certain distance. Let me know if you have any questions or want to see the boat.